President’s Note: Western Monarchs – How Bad Can It Get? The monarch butterfly is facing challenges in maintaining its population in North America. Part of the issue is overwintering sites. 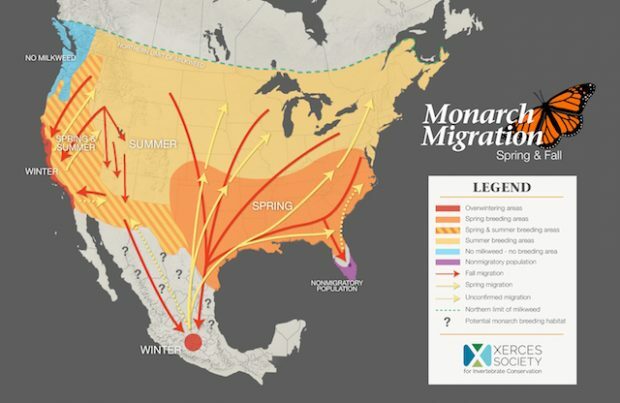 There are two main migratory routes for North American monarchs. Monarch butterflies from the Rocky Mountains to the east coast migrate to a site north of Mexico City. Western monarchs migrate to several locations along the California coast. To show how bad it can be, the preliminary count data from the West Coast monarch count showed an overwintering population of around 30,000 this year. Some research shows that this is the potential extinction point for this population! According to the Xerces Society, the population was over 1.2 million in 1997, while counting fewer sites along the California coast. The central North American population is doing better, but it is still at very low numbers. While awareness of the plight of the monarch is high, we still need to do more. We are in danger of losing an iconic North American butterfly. 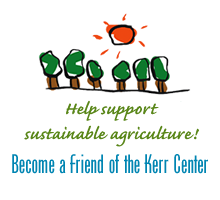 Those in Oklahoma can check out the Kerr Center website for information on pollinator habitat, and the Okies for Monarchs website to learn what you can do specifically for monarchs. Insight from 2,020 farmers from across the country reflected enthusiasm for cover crops and—for the fourth year in a row—found a yield boost in corn and soybeans following cover crops. Multi-year data shows the yield boost increases as cover crops are planted year after year, a revelation that points to an appealing long-term benefit of the conservation practice. President’s Note: Food – the Best Medicine? Most sustainable agriculture practitioners do not like GMO crops. The reasons given are numerous. Mixing plant and animal genetics, ownership and patenting of plants, and who controls the genetics, are just a few.